Artusi takes on cauliflower with his customary directness: "All cabbage, be it white, black, yellow, or green, is the son or stepson of Eolus, the God of winds, and therefore those who can't tolerate wind should know that these plants are, for them, true crosses (i.e. punishments to be born), and not just called crucifere because their flowers have four petals in the shape of a cross." Remove the leaves and the green ribs from a large cauliflower, make a deep X-shaped cut in the stalk, and boil it in salt water till a fork penetrates into the flowerlets. 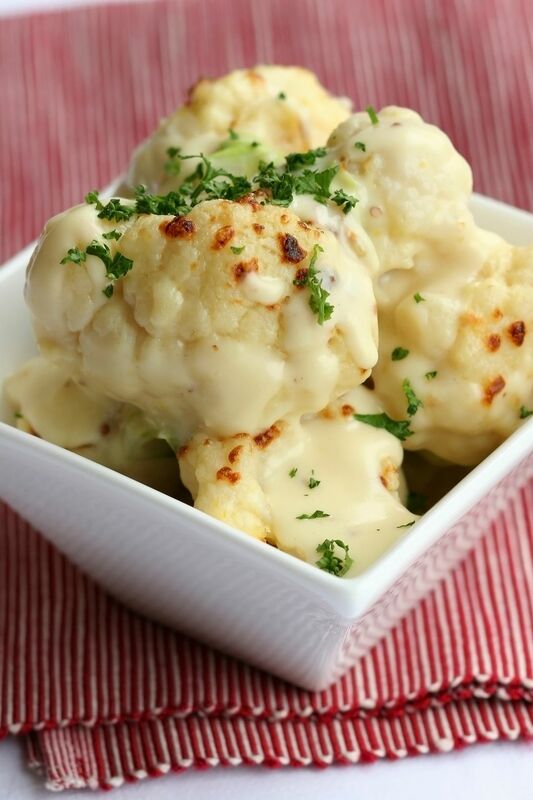 Drain the Cauliflower, break it up into little pieces, and finish cooking it in a pan with two tablespoons of butter, seasoning it with salt and pepper. Transfer the Cauliflower to a heatproof dish, dust it with grated Parmigiano, cover it with béchamel sauce. Bake it in a 375 F (185 C) oven for 10 minutes, or broil it till the top is browned. Artusi suggests this be served between courses, or with stewed meat or boiled chicken.